Well, that was unexpected, wasn’t it? 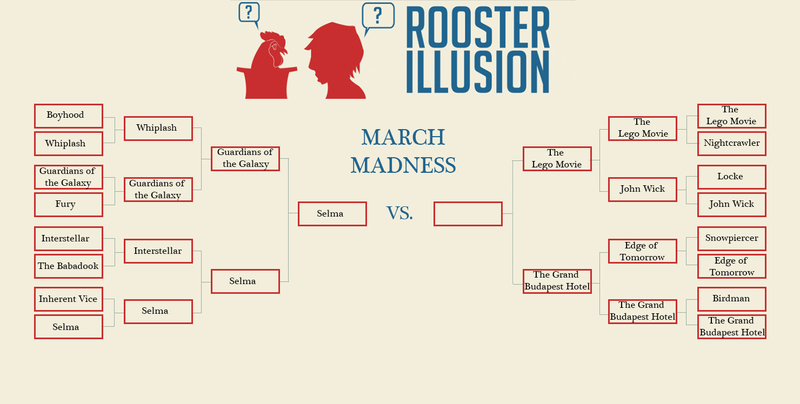 Underdog-of-the-year Selma has proceeded to the final round after back-to-back victories against Interstellar and Guardians of the Galaxy, you know, two of the most successful and popular movies of 2014. Kudos to Selma for that one. The question remains as we move on to our last semifinal: who will face this plucky independent biopic for the grand prize? 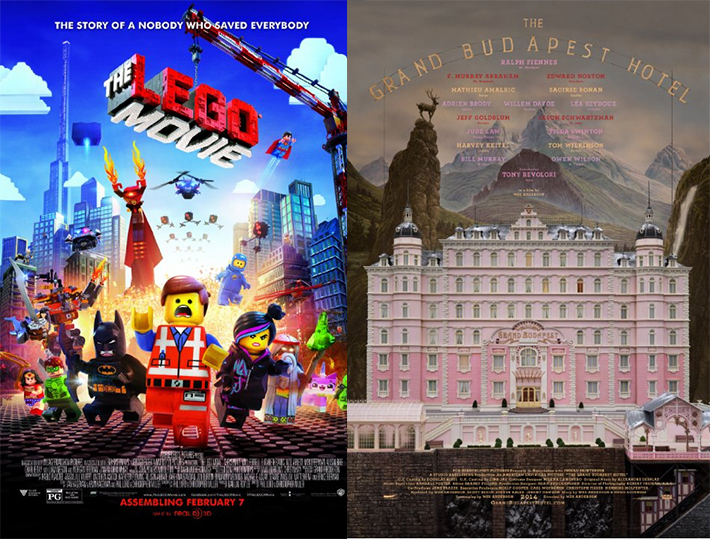 In our last semifinal we face The Lego Movie against The Grand Budapest Hotel. Chris Miller and Phil Lord have made a career out of making great movies from stupid premises, and The Lego Movie might be the greatest triumph yet: an adventurous, funny, fast-paced, yet oddly touching animated film with a powerful message about creativity and friendship. Wes Anderson’s latest installment in a practically flawless career tackles the paramount question of film (and all narrative media): why do we tell stories? Though presented in the guise of a lighthearted adventure comedy, The Grand Budapest Hotel ranks among Anderson’s deepest and most thoughtful films. Who will take the final slot against Selma? You decide. need a recap on any of the aforementioned films? Follow the links and read our reviews, but don’t forget to come back and vote when you’re done.